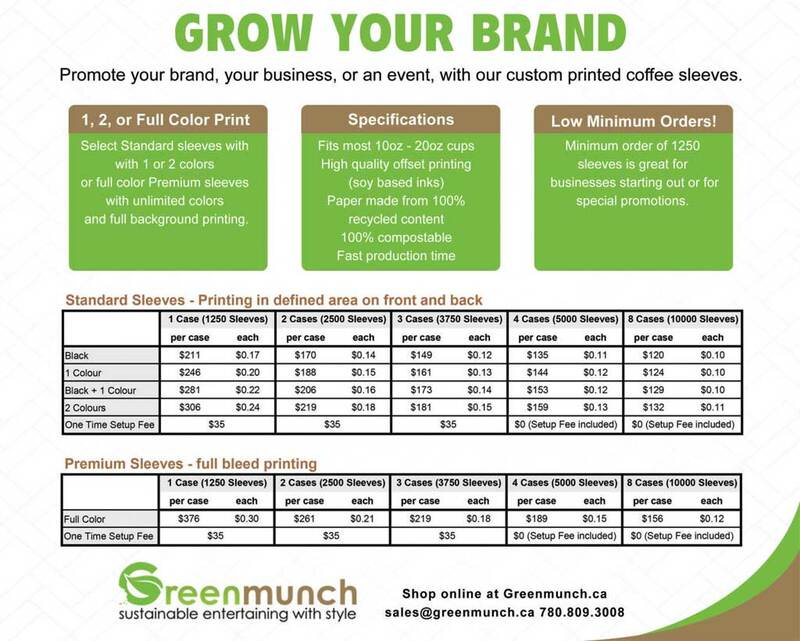 Please contact us for info on ordering custom printed paper coffee cup sleeves. Standard sleeves have white background. Shipping costs are not included in the price of the sleeves.